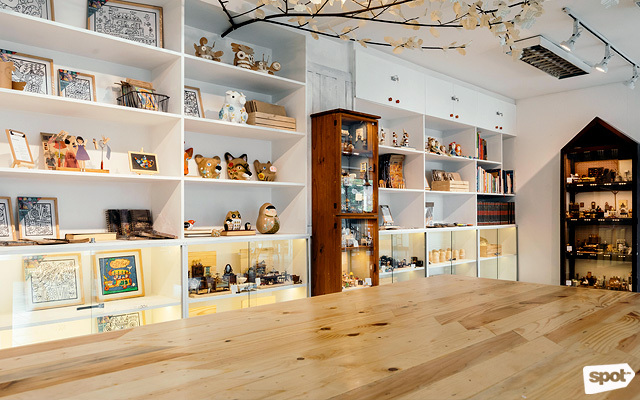 And their new Artisan's Workshop is a great way to do it. 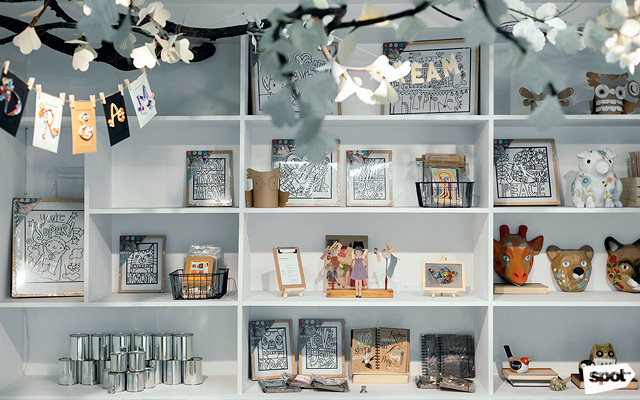 (SPOT.ph) You probably grew up with artsy trinkets and the trademark brown stationery from Papemelroti. 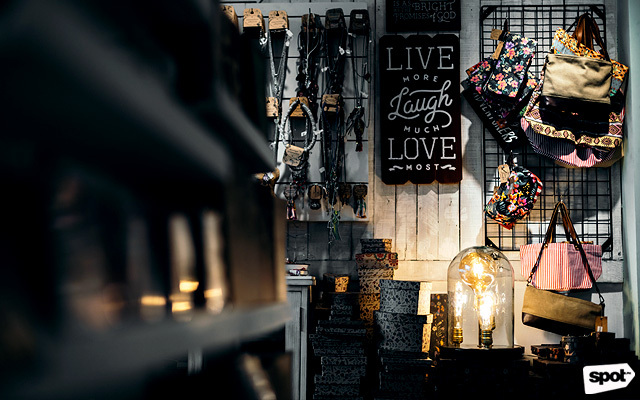 If you didn’t, then you’ve most definitely seen their 20-peso planners and rustic home accessories decorated with inspirational quotes. 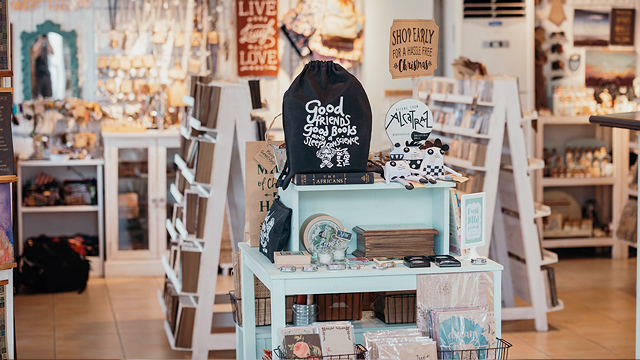 The homegrown brand is a family affair that started in 1967 with husband and wife, Benny and Corit Alejandro, who derived the store’s name from the first syllable of their children’s names: Patricia (a.k.a. Patsy), Peggy, Meldy, Robert, and Tina. 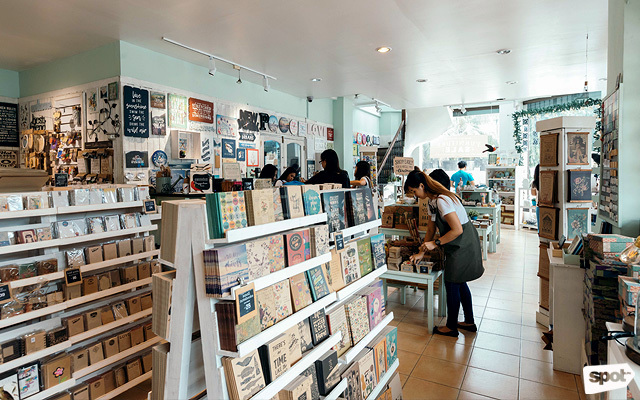 With 17 branches across the Metro (and two each in Pampanga and Cavite), the store is known today for being a haven for arts and crafts and handmade products. But it actually started out as a creative outlet for Corit, who just wanted to make something out of her scrap cloth. “She would make our clothes then there would be scraps. So what would she do with that? 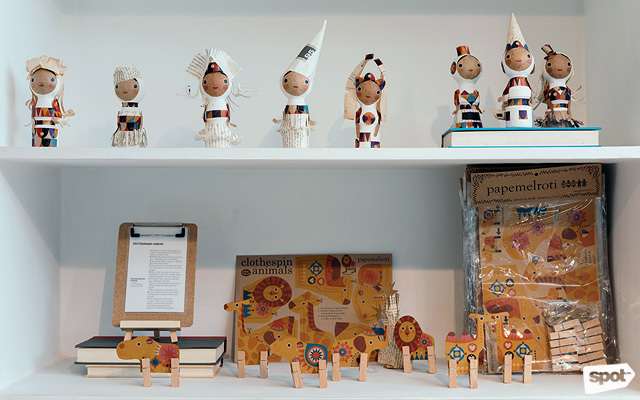 She would make stuffed toys,” recalled Patsy, now the Managing Director of the store. Her siblings also currently serve as directors and designers of the brand. 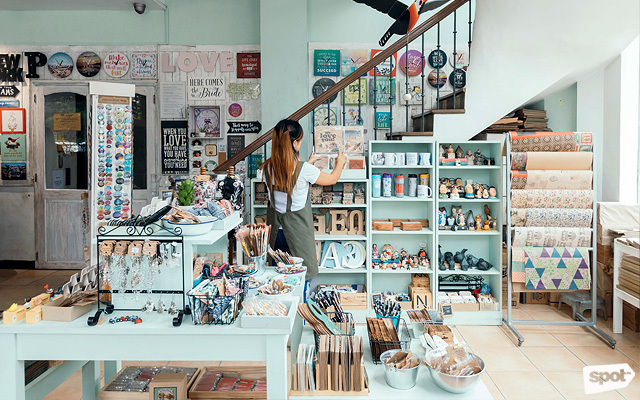 The unassuming storefront consisted of a display window with random stuffed animals and a sign that read, “Please ring bell” because there was no staff to man the store. Customers would enter, only to find that it was just the stuffed toys for sale. “Mahilig lang talaga siya magbenta,” Patsy recounts about her mom. 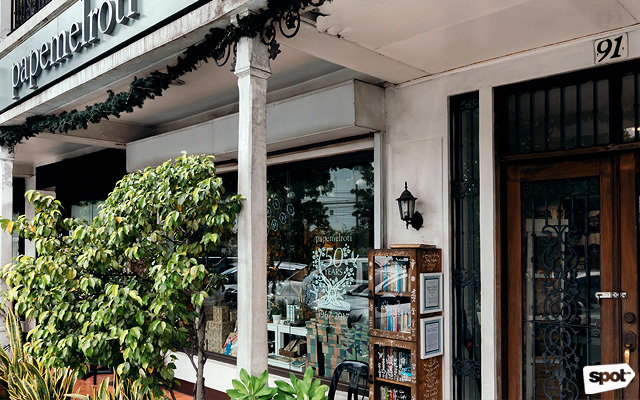 After they moved out of the shophouse, they bought what would become the headquarters and main branch of Papemelroti on the corner of A. Roces Avenue and Scout Tobias in Quezon City. They also opened a branch in Ali Mall. They were one of the first stores that opened there, along with bigger shops and well-known department stores. They dismissed the thought because it just wasn’t their style. Now, 50 years later, they’re the only one amongst all of those original stores still up and running. Patsy believes it’s because their brand’s identity reflects their family’s values. 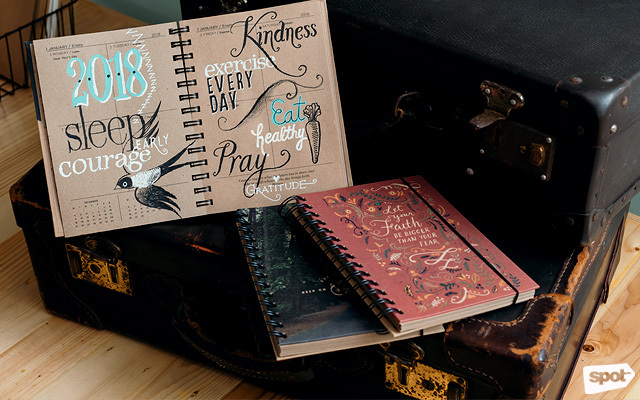 The whole family gets to put in positive and inspirational messages by taking part in conceptualizing and designing their products. Even their father Benny (now 91 years old!) 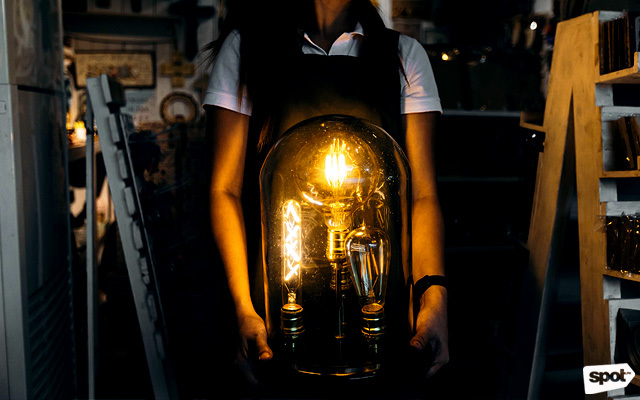 is still busy designing each of the Edison lamps being sold at the stores. 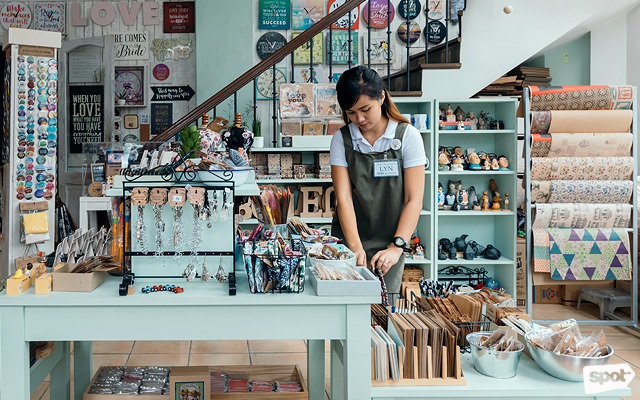 “I believe that a business should really reflect your personality, what you believe in, what you want to share with others. 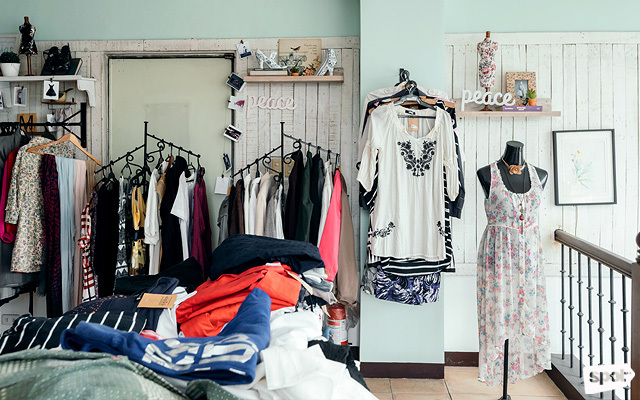 Our business does that when people come to the store,” Patsy says. This is what they’re now passing on to their children, who are starting to get into the business. She continues, “This store really showcases us as a family. 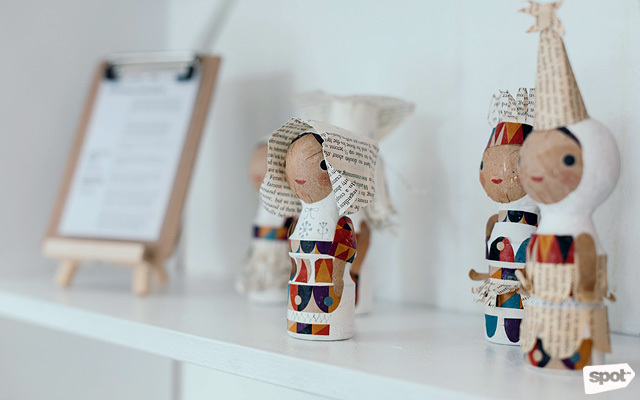 It shows what we really believe in.” Among those beliefs are promoting local artisans’ work and being socially responsible. 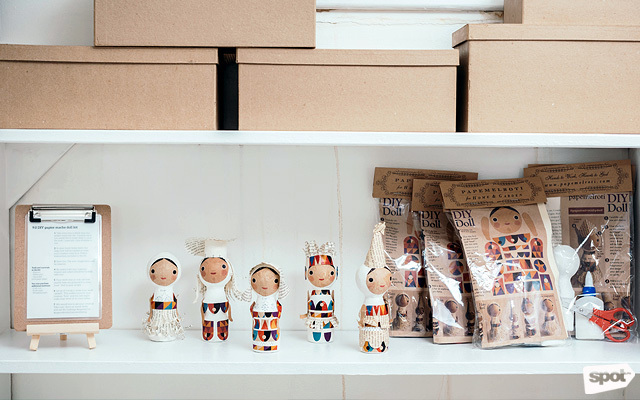 “I don’t know if people know [this] but a lot of our products are made by people who are really in need. 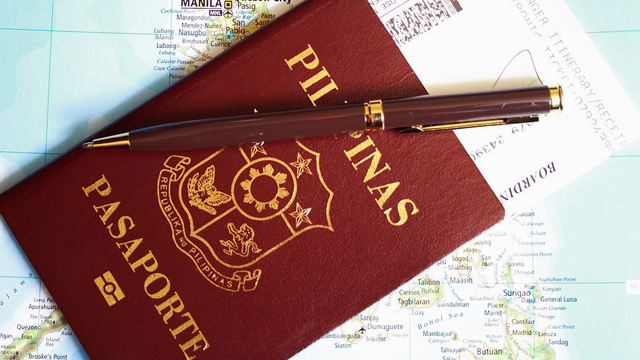 We’ve partnered with foundations like Kidney Friends [Foundation of the Philippines]. 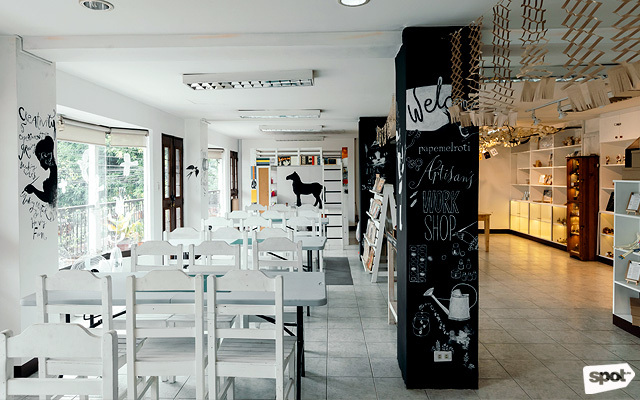 They're dialysis patients who have difficulty getting hired, so we help them develop their skills,” says Elyse Alejandro Pilapil, daughter of Peggy and currently a creative director of the brand. 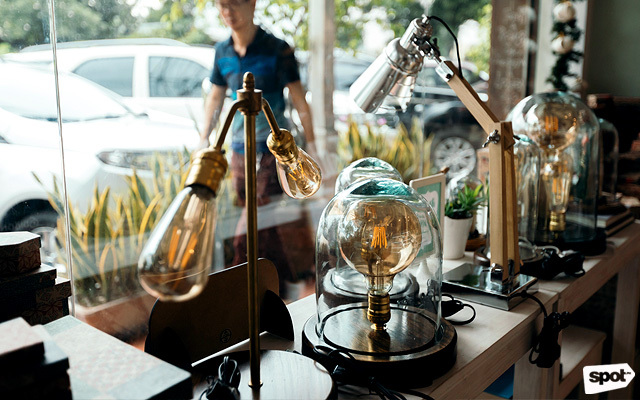 In addition to providing opportunities, their products are also environment-friendly. 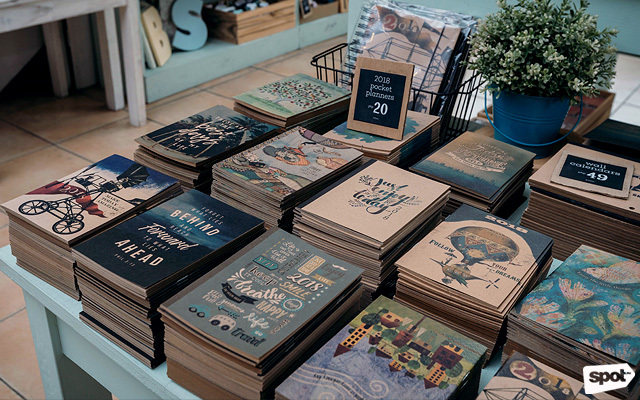 Their distinctively brown stationery is actually made from 100% recycled and unbleached paper. “There's actually recycled paper that's white but the bleach is also harmful so even that, we try to cut out,” Elyse says. This is also why the shade of brown sometimes differs. 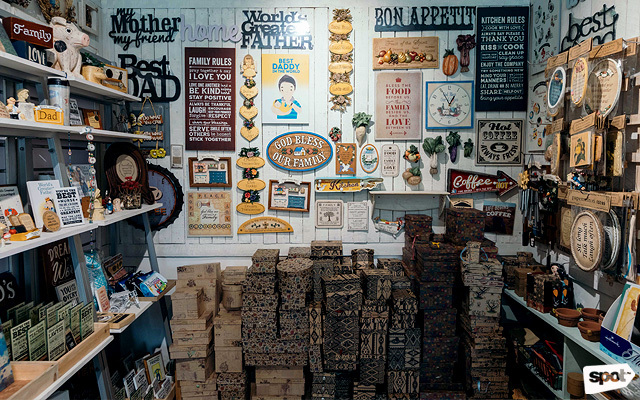 “It's not just for the aesthetic.” Even the wood used to build their store's shelves and home accessories come from wooden pallets used for shipping! 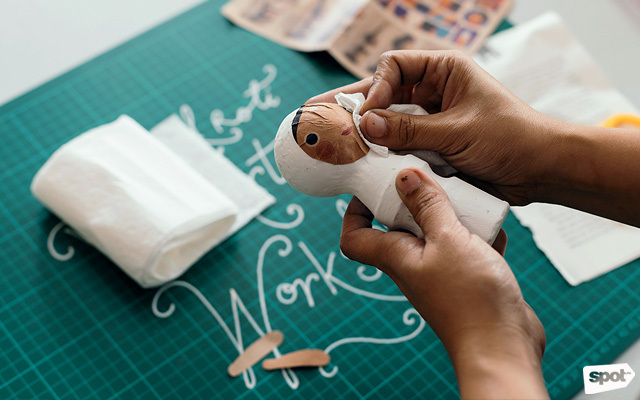 This creative and eco-friendly work ethic is also what they’re trying to bring into their new venture: The Papemelroti Artisan's Workshop. Currently on soft opening, it's set to officially launch on January 20. 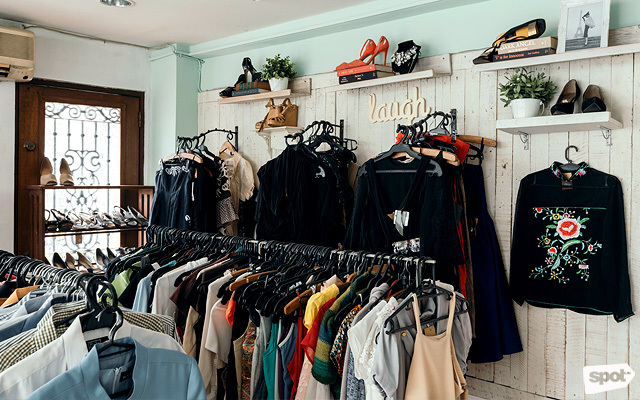 The staircase in their main branch-slash-HQ will first lead you to a small section lined with racks of vintage clothing that are also for sale. Tucked behind the hangers and racks, you'll find a spacious area that was previously only used for storage. 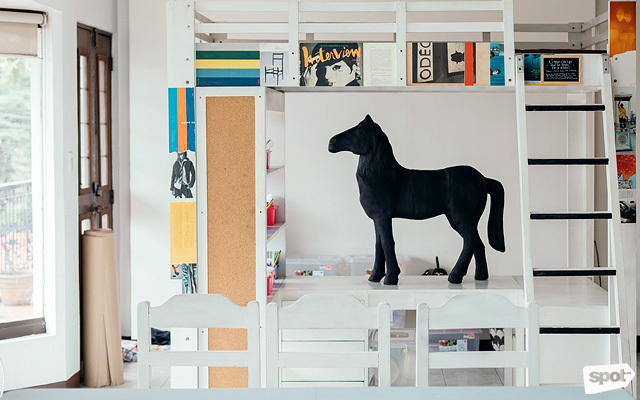 Now, the bright, furnished, and naturally lit room is home to the late Corit's miniature collection. 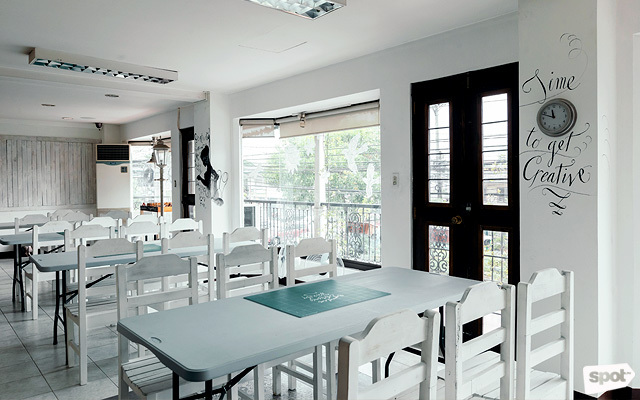 It's also a creative space for arts and crafts sessions that can cater to large groups. 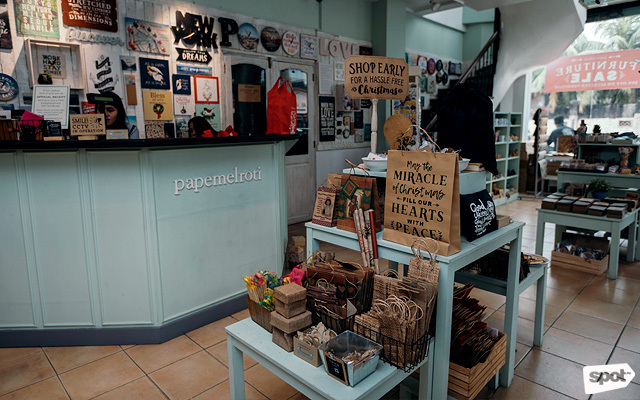 Papemelroti has held arts and crafts workshops in their mall branches before. 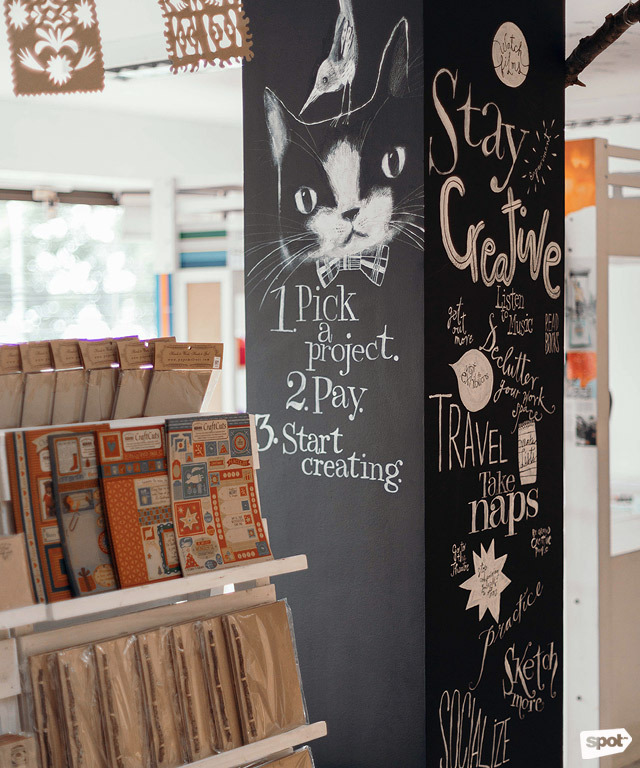 But this is the first time that they’ve set up a permanent space dedicated to giving customers a chance to get creative without having to sign up for a class or wait for a schedule. 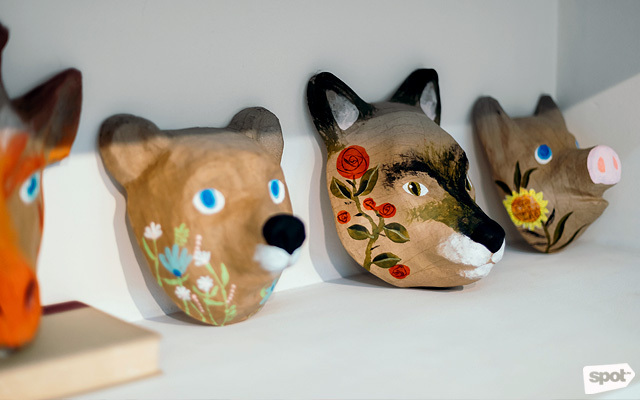 You don’t have to worry if you’re new at crafting. 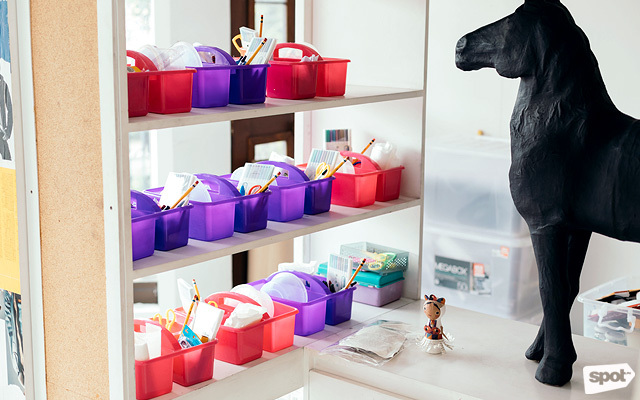 They have kits that are complete with all the materials you’ll need for different kinds of projects. 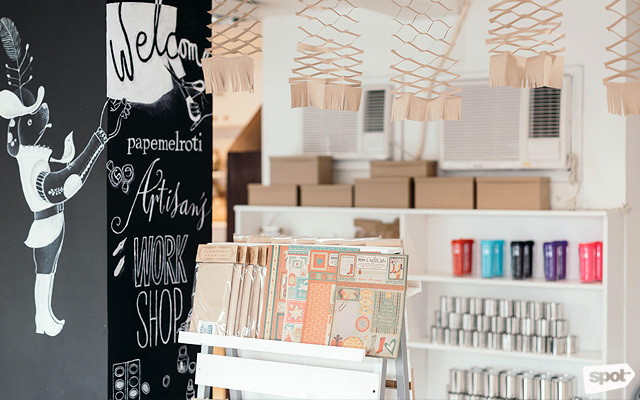 You can decorate your own planner or tumbler, design notebooks, or create paper mache dolls and decor. Plus, they also have friendly staff who'll guide you along the way. 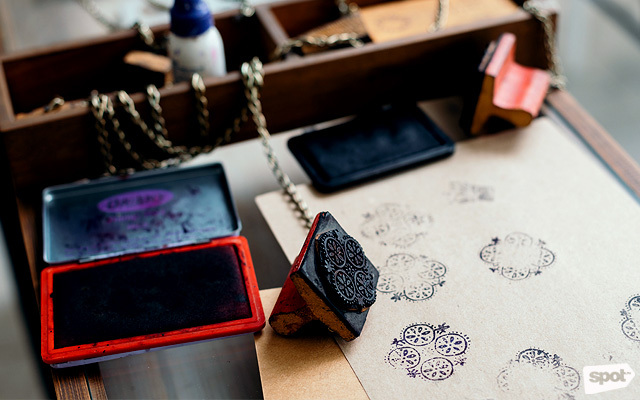 They have blank templates that you can work on and customize so you can make it your own. It's a great way to try out something new with your family and friends without breaking the bank. The kit for the planner is less than P400! 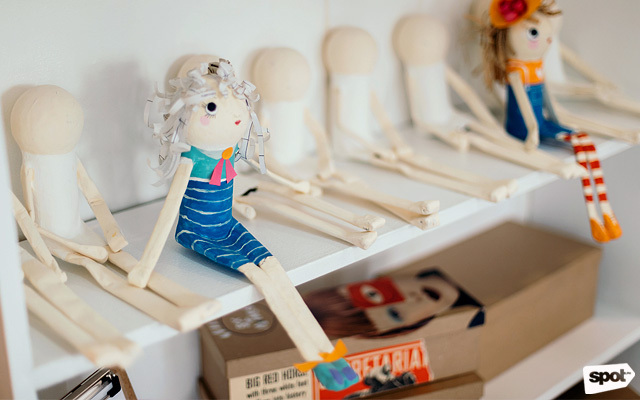 You might notice that the body shape of the paper mache dolls might look familiar. That’s because they also use recycled materials—like old magazines, Yakult bottles, and toilet paper rolls—for the kits. The ideas for the kits all start out differently. 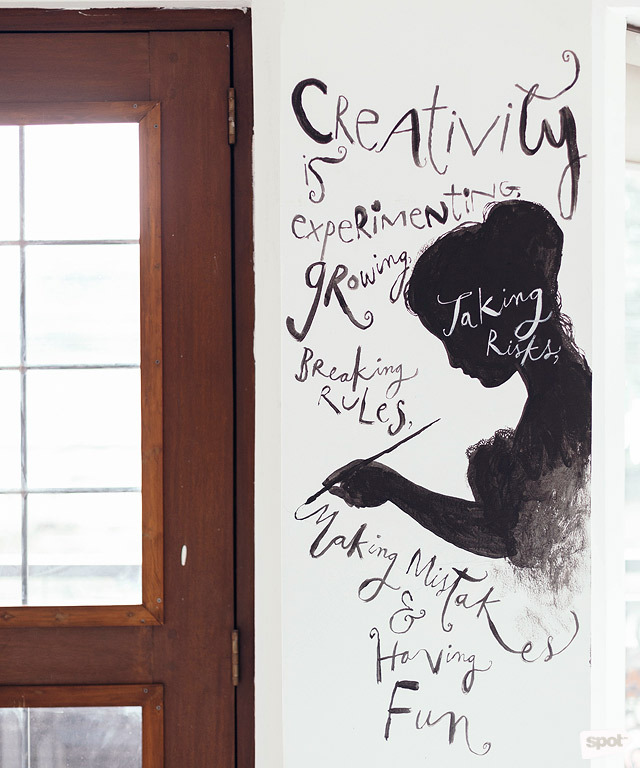 "It's a fluid, creative process. Sometimes, it starts from the material. Sometimes, the idea comes first, then the concept, then we [create a] prototype after," Elyse explains. A lot of the kits were designed by Robert, who also made the murals you’ll spot on the white walls. “This is really his pet project because he's also going to be the one who's going to do some workshops here,” says Elyse. 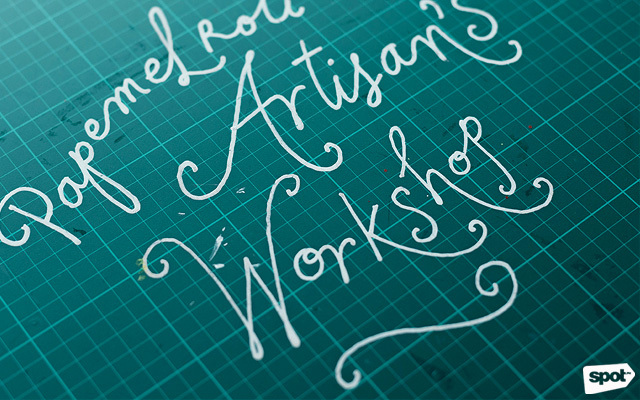 The workshop is open to everyone, so it doesn’t matter how old you are. “We saw the interest of people—kids and adults. Even the adults would join the kids’ workshops. We wanted to really inspire creativity and raise awareness that creativity is still really in and working with your hands is still trendy,” she explains. 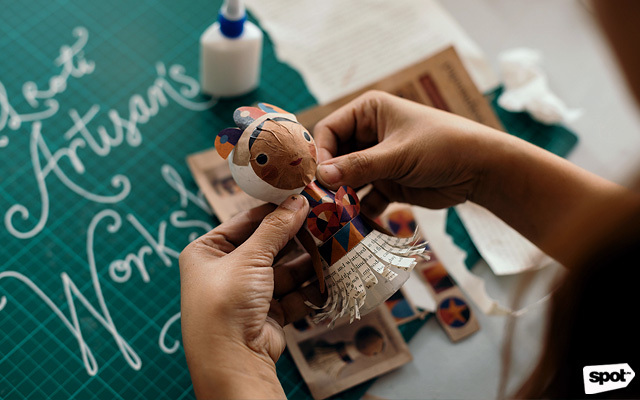 The Artisan's Workshop is just one of the ways Papemelroti continues to spread its positive vibe to both old customers and newcomers. 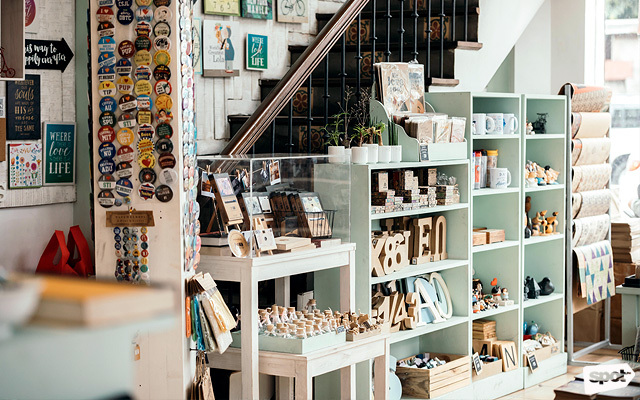 They've doubled their efforts to make their patrons feel good with their products and recently began focusing on their online store. This is so they can reach places where they don’t have branches yet and make it easier for people to get ahold of them. They even have resellers as far as Dubai and the United States. But look closer and you’ll still see the trails left behind by this brand that found its start in a humble home. 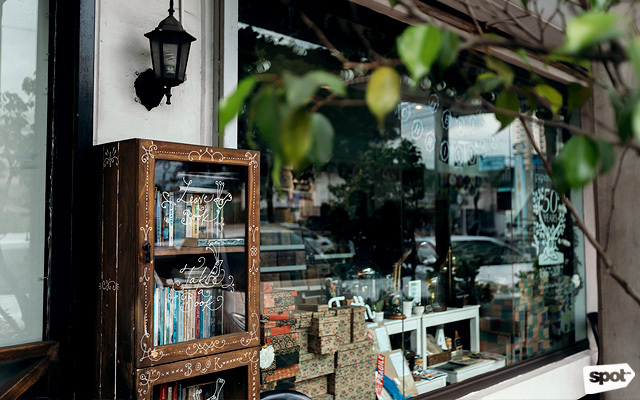 Visit their branches and you might just spot traces of their history. 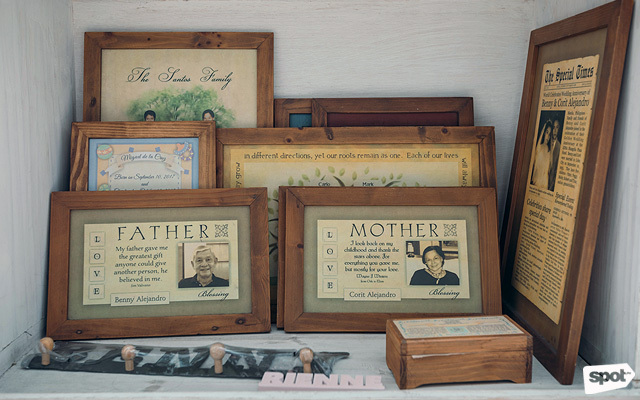 They have small sample plaques describing Benny and Corit, and a bigger one with a faux newspaper clipping featuring their wedding photo. “We're really proud of our history and we're even more excited to bring it into the future,” shares Elyse. 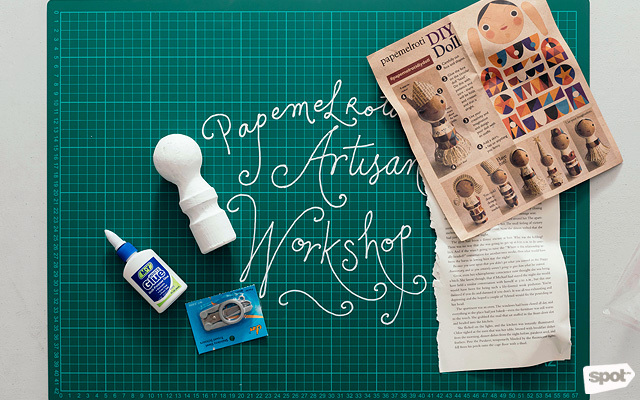 The Papemelroti Artisan's Workshop is at 91 Roces Avenue, Barangay Laging Handa, Quezon City. 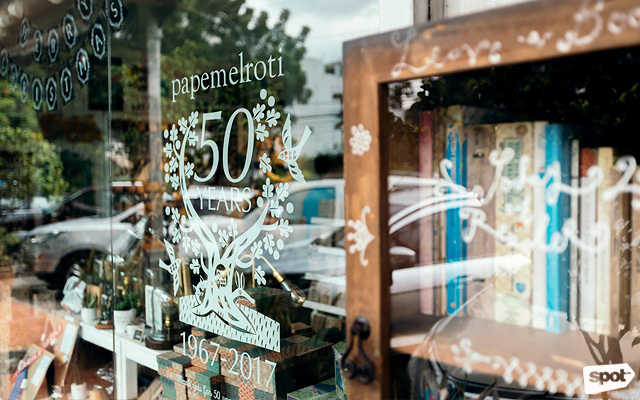 For more information, visit Papemelroti's website or check out their Facebook page.